Drake continues to dominate most summer music numbers. 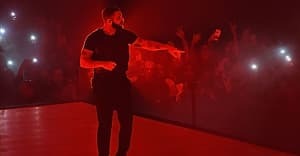 This week, after topping both the Billboard 200 (Scorpion) and Hot 100 ("In My Feelings") for the second week in a row, Drake is also number 1 on the Billboard Artist 100 chart. This marks Drake's third week atop the chart, and his 29th overall. This puts Drake at second place, just behind Taylor Swift (36) for most overall weeks at the top spot. Drake's monstrous summer has seen him shatter Spotify and Apple Music numbers, break U.S. streaming numbers, and cross 1 billion streams worldwide. More info here, and watch Drake get (jokingly) pressed by Shiggy about money for the #InMyFeelingsChallenge here.